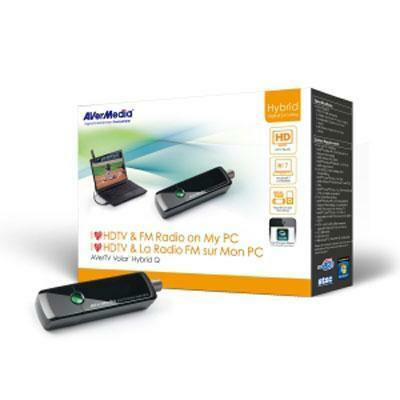 AVerTV Volar Hybrid Q allows you to enjoy watching digital/ analog TV and listening to FM radio on your PC. The extendable High Gain Antenna promises a robust digital TV and FM radio reception. Even better, by simply connecting analog video devices through Composite or S-Video inputs, you can preserve your favorite videos in various digital formats. Works with Windows 10.